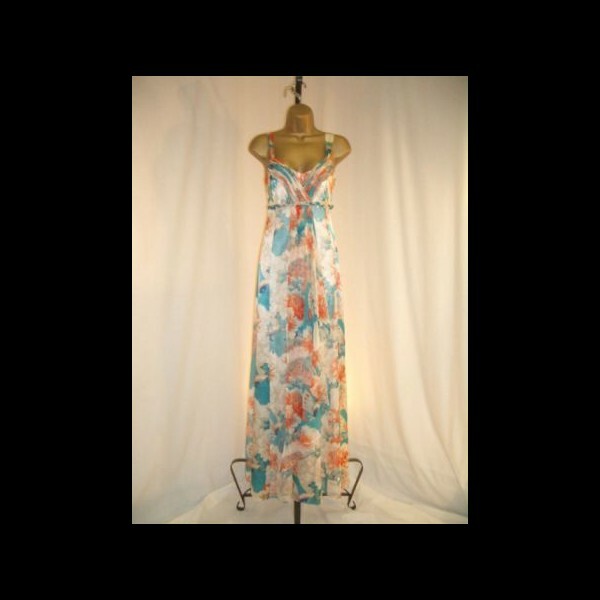 A swirl of large burnt Ivory ostrich feathers, large curls at the end. 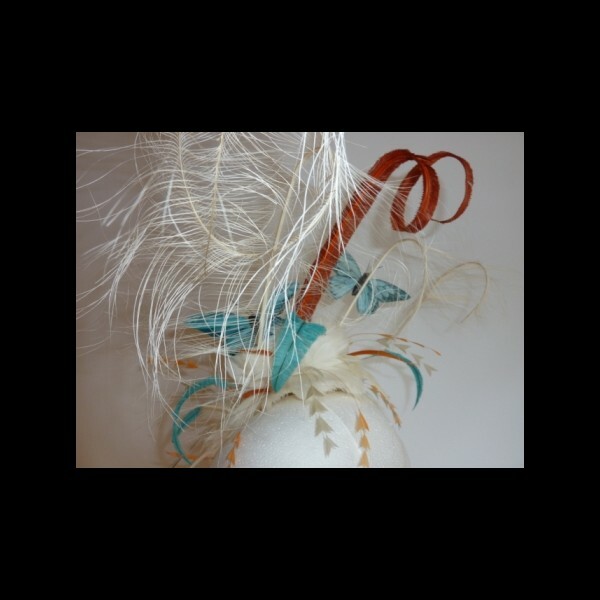 An amber trimmed ostrich feather forms the centre of the arrangement. 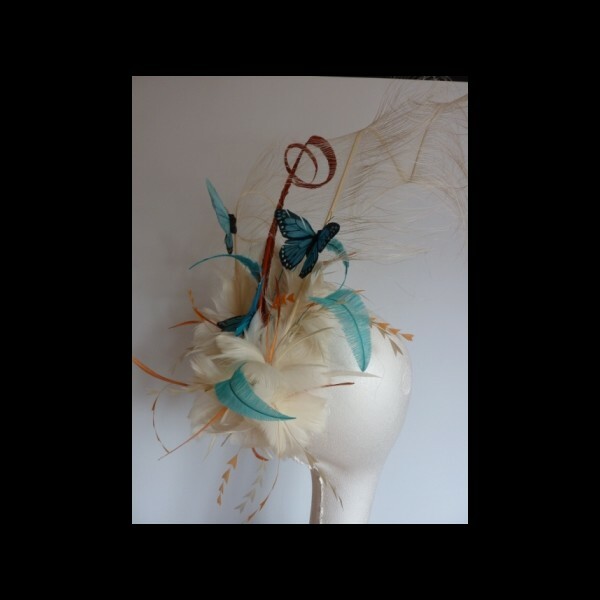 Ivory feather flowers form the base of the fascinator - each one with ivory and paprika coloured biots in the centre. 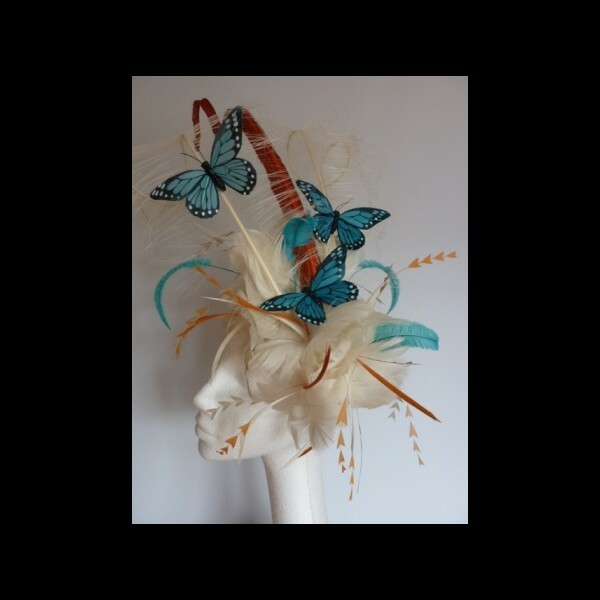 Wisps of turquoise arrow head ostrich and trimmed coque in light apricot and almond adorn the fascinator. 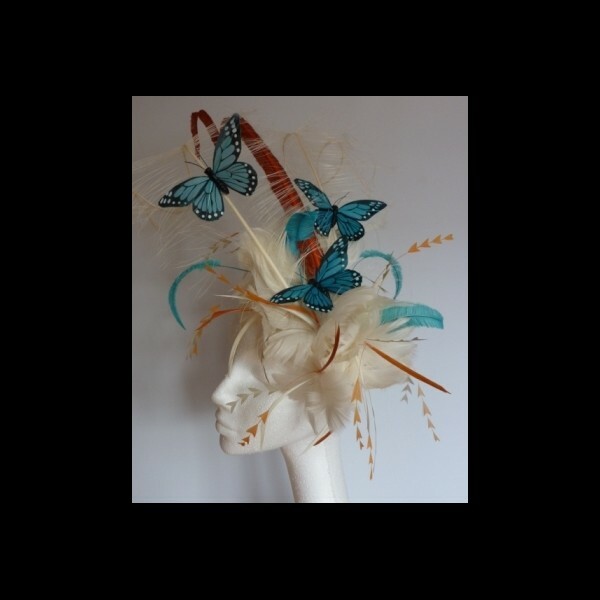 Topped with teal and turquoise feather butterflies. 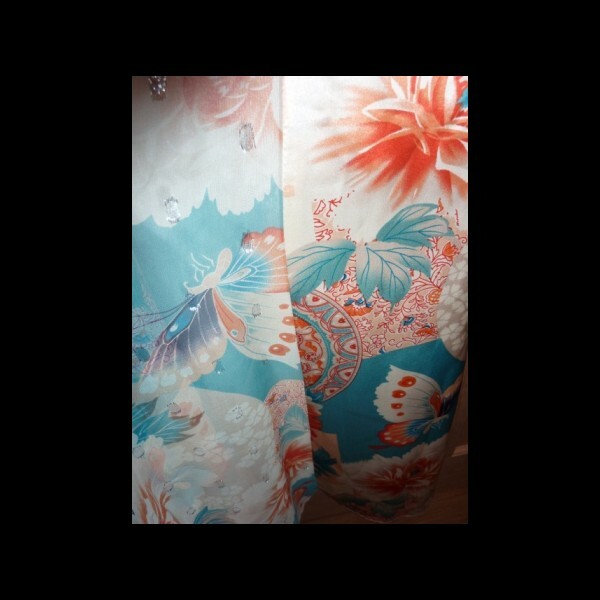 Made to match Monsoon's "Hanako" Maxi Dress. 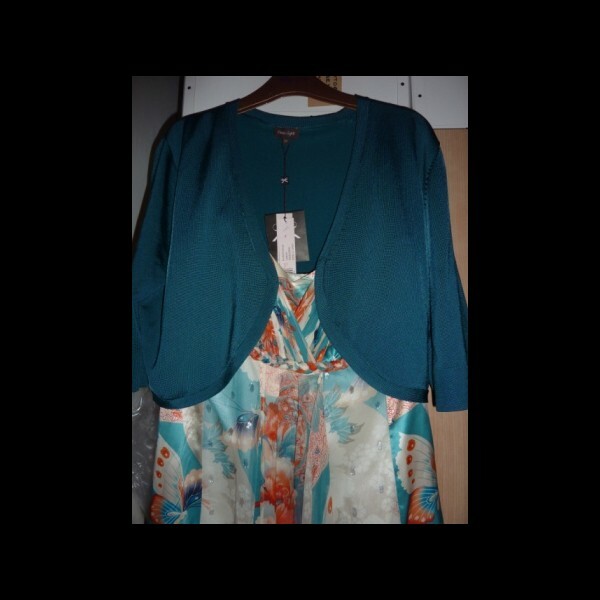 As shown in the photographs the dress is being worn with a teal shrug from Phase Eight. 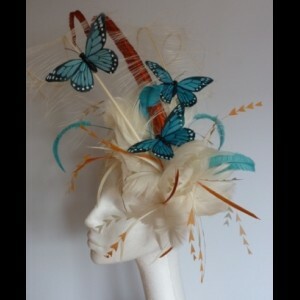 The price quoted is for the hire of the fascinator - please see our Terms & Conditions of Hire.